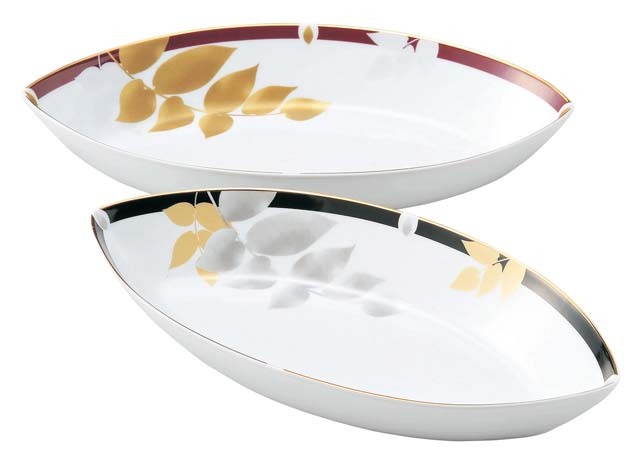 This is Japanese brand Refine’s pair of leaf shaped oval china bowls. Print of leaves on the bowls. You can serve salad, pasta, risotto, fruits, or any kind of food with the bowl. Ideal item for a wedding gift, birthday gift, etc.